On March 27, 2012, the Environmental Protection Agency (EPA) proposed to set a nationwide standard for emissions of carbon dioxide (CO2) from new fossil fuel electric generating units (EGUs). Under this proposed New Source Performance Standard (NSPS), new fossil fuel EGUs would be subject to a maximum CO2 emissions rate of 1,000 pounds per megawatt-hour (lb/MWh) − a rate that a new coal-fired EGU likely cannot meet without installing carbon dioxide capture technology (CCS equipment). The proposed NSPS also includes a narrowly drawn “alternative compliance option” allowing the construction of certain new coal-fired EGUs that commit to later install CCS equipment to capture and sequester CO2. The proposed standards would not apply to existing EGUs, or to the modification or reconstruction of existing EGUs. Furthermore, the standards would not apply to new coal-fired EGUs that have already received preconstruction permits and that commence construction within 12 months of the date the proposal is published in the Federal Register. Comments on the proposal will be due 60 days after publication in the Federal Register. The pre-publication text is available here. Section 111(b) of the CAA requires EPA to establish NSPS for any category of stationary sources that “contributes significantly” to air pollution that endangers public health and welfare. New Source Performance Standards established under this section apply only to sources that are either newly constructed after the date the NSPS is proposed, or modified in a way that increases their hourly rates of regulated emissions. A separate provision of the CAA, section 111(d), provides a federal-state process for the establishment and implementation of performance standards for existing sources in categories of new and modified sources that are regulated under section 111(b). By statute, NSPS are required to reflect the application of the “best system of emission reduction” that “has been adequately demonstrated,” taking into account costs, environmental impacts, and energy requirements. With limited exceptions, the statute forbids EPA from expressly requiring any new or modified sources to adopt a particular control technology. Instead, EPA must establish a performance standard (e.g., a maximum emissions rate) and allow sources to determine how best to meet that standard. EPA is required to review and, if appropriate, revise the NSPS for each source category at least once every eight years. 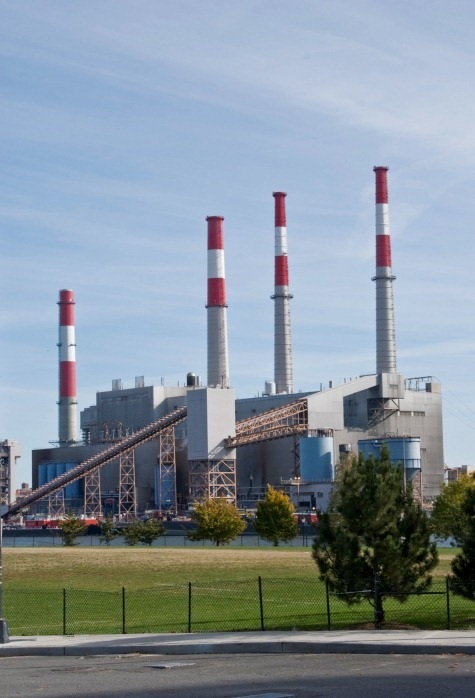 EPA adopted the most recent revisions to its NSPS set for electric utility steam generating units in a 2006 rulemaking. After those revisions were finalized, thirteen state and municipal governments and several environmental organizations filed petitions for review in the United States Court of Appeals for the District of Columbia Circuit (D.C. Circuit) challenging EPA’s failure to adopt performance standards for limiting GHGs in that rulemaking. In December 2010, EPA executed a settlement agreement with those parties under which the Agency committed to propose NSPS for GHGs from new, modified, and existing EGUs by July 26, 2011, under both sections 111(b) and 111(d) of the CAA. EPA also agreed to finalize those standards by May 26, 2012. The settlement did not specify the structure or stringency of the GHG performance standards. For more information on the settlement, see the January 19, 2011 VNF Alert. In June 2011, EPA negotiated an extension of the deadline for proposing the NSPS until September 30, 2011, without altering the May 2012 deadline for finalizing the NSPS. EPA missed the September 30 deadline and subsequently entered into negotiations with the parties on a new rulemaking schedule. Those negotiations have not produced a new agreement. The possibility of further litigation to enforce the settlement agreement is likely to be a continuing source of pressure on EPA to finalize this proposal and issue separate proposed regulations for reconstructed and modified EGUs under subsection 111(b) and existing EGUs under section 111(d). Finding that EGUs “contribute significantly” to endangerment. As noted above, EPA may only regulate a source category under section 111(b) if it finds that air pollution from the category “contributes significantly” to the endangerment of public health or welfare. In the proposedNSPS, EPA argues that no new significant contribution finding is necessary, because the proposed NSPS would amend existing standards for conventional pollutant emissions from two categories of EGUs. EPA’s preferred interpretation of the CAA would allow the Agency to rely on the initial significant contribution findings it made for those two existing standards, without issuing additional such findings as it revises those standards to cover previously unregulated pollutants. As an alternative approach, EPA states that it will also consider making a new and separate significant contribution finding for GHG emissions from EGUs. This finding would be based on the scale of GHG emissions from EGUs, as well as the Agency’s December 2009 “endangerment finding” determining that climate change caused by GHG emissions endangers public health and welfare. For more information, see the December 9, 2009 VNF Alert. CO2 standard for new EGUs. The proposed NSPS applies to two categories of regulatedEGUs: electric utility steam generating units (including EGUs that operate with boilers or integrated gasification combined cycle (IGCC) systems) and combined cycle units. With certain exceptions described below, the proposed NSPS would impose a maximum CO2 emission standard of 1,000 lb/MWh on any newly constructed EGU that falls within these categories and has a electric generating capacity exceeding 25 MW. This standard is based on the performance of natural gas combined cycle (NGCC) units, which EPA has determined constitute the “best system of emission reduction” for the source category. The 1,000 lb/MWhstandard is a lower emissions rate than any known coal-fired generating technology can achieve without CCS equipment. The proposed NSPS would not regulate other GHGs apart from CO2. Thirty-Year Averaging Option for New Coal-Fired EGUs. The proposed NSPS acknowledges that new coal-fired generating capacity “may be beneficial from the standpoint of promoting energy diversity.” Although coal-fired EGUs without CCS equipment are not capable of meeting the 1,000 lb/MWh standard, EPA proposes a narrowly drawn “alternative compliance option” that would allow the construction of new EGUs that burn coal or petroleum coke. Under this option, such EGUs could be newly constructed without CCS equipment provided that: (1) theEGU achieves a CO2 emissions rate of 1,800 lb/MWh for the first ten years of operation (a rate that EPA argues is achievable using supercritical steam), and (2) the EGU commits to reduce its CO2 emissions to no more than 600 lb/MWh beginning in its eleventh year of operation, and continuing for the next twenty years. An EGU that elected this alternative compliance option would achieve the 1,000 lb/MWh emission rate on an average basis over its first thirty years of operation. EPA has asked for comment on how this thirty-year averaging option could be enforced. Exceptions. The proposed NSPS would apply only to fossil fuel-fired steam and combined cycle EGUs with an electric generating capacity of greater than 25 megawatts located in the continental United States. Simple-cycle turbines burning fossil fuels, biomass-fired EGUs, andEGUs using other non-fossil fuel resources would not be subject to the proposed NSPS. In addition, EPA proposes to exempt new fossil fuel-fired EGUs that have obtained preconstruction permits as of the date the proposal is published in the Federal Register − provided that those EGUs commence construction within twelve months of the date of Federal Register publication. EPA estimates that approximately 15 coal-fired power projects would be able to take advantage of this exemption given that the projects have obtained their preconstruction permits and are near to commencing construction. Standard not applicable to existing EGUs or reconstructions and modifications to existingEGUs. The proposed NSPS would not apply to existing EGUs, including existing EGUs that undertake modifications or are reconstructed. Although emission standards promulgated by EPA under section 111(b) traditionally have applied to modified and reconstructed facilities, EPA states that it has insufficient data on which to base GHG emission standards for modified or reconstructed EGUs. EPA Assessment of Costs and Impacts. EPA argues that its economic modeling of the United States power sector shows that no new coal-fired generating capacity is likely to be developed through 2020, and that incremental generation needs will be met with natural gas. Accordingly, EPA concludes that the proposed NSPS would have no significant compliance costs, energy impacts, or broader economic impacts. The issuance of the proposal has immediate consequences for the development and deployment of new advanced coal-fired EGUs. The CAA provides that, once finalized, a new or revised NSPS has retroactive effect to the date it was proposed. As noted above, the proposed NSPS would exempt coal-fired units that have received preconstruction permits and are near to commencing construction. Any coal-fired EGU without CCS equipment that enters the planning or permitting process after the date of the proposal, however, would be barred from operating if EPA proceeds to finalize this proposal (unless the EGU elects the thirty-year averaging option described above). The proposed NSPS raises novel legal issues that could be the subject of litigation depending on the final form of the rule. For example, it is not clear whether EPA can base the new NSPS upon the previous “significant contribution” findings that it issued for emissions of conventional pollutants fromEGUs. As for the standards themselves, EPA is likely to be challenged for promulgating a NSPS that does not distinguish between EGUs based on their fuel type, and effectively prevents the construction of new EGUs that burn coal or petroleum coke without CCS. Although the proposed NSPS would allow construction of such EGUs if they commit to install CCS, it is uncertain whether EPA can delay compliance with the applicable performance standard until a future date in which CCS technology becomes technically demonstrated and economically viable. EPA also may face challenges from the environmental community on its decisions not to impose GHG emission standards on modified or reconstructed EGUs. The development of a NSPS for new EGUs is largely independent of the outcome of pending litigation in the D.C. Circuit over EPA’s prior regulatory actions relating to GHGs. EPA is presently defending itself against challenges to: (1) its December 2009 “endangerment finding”; (2) its GHG emission standards for motor vehicles in model years 2012-2016; (3) its April 2010 “Timing Rule” determining that the motor vehicle standards would make GHGs regulated pollutants as of January 2, 2011 for purposes of Prevention of Significant Deterioration (PSD) permitting for stationary sources; and (4) its June 2010 “Tailoring Rule” that provided for a gradual “phase in” of PSD and Title V permitting for the largest stationary sources of GHG emissions. Of these challenges, the latter three apply to EPA actions under sections of the CAA that do not affect the Agency’s authority to promulgate NSPS. A D.C. Circuit decision invalidating the December 2009 “endangerment finding” could have collateral impacts on the GHG NSPS if EPA ultimately is required to make a finding of “significant contribution” to support the NSPS. Due to the settlement agreement, EPA may be required to develop a separate proposal(s) for setting GHG performance standards for reconstructed and modified EGUs under section 111(b) and establishing “emission guidelines” for state-implemented limitations on GHG emissions from existingEGUs. The timing and content of any such proposal remains unclear. However, EPA cannot promulgate regulations for a source category of existing units under section 111(d) unless it first issues regulations for new units under section 111(b). Thus, the completion of the proposed NSPS for new EGUs is a prerequisite to the promulgation of GHG emission standards for existing sources under section 111(d). Van Ness Feldman closely monitors federal and state developments on climate change, air quality, and energy policy, and is in a strong position to provide expert analysis and advice on emerging legislation and regulatory activity, the surrounding policy and political debate, and the implications for your organization. For more information on EPA’s new proposed GHG standards, please contact Kyle Danish, Stephen Fotis, Doug Smith or any member of the firm’s Environment or Climate Change practices at (202) 298-1800. Those interested in on-going coverage of climate change policy developments may wish to subscribe to VNF’s weekly Climate, Energy, & Air Update here. Effective February 1, 2012, Van Ness Feldman combined its practice with the Seattle land use, real estate, and natural resources law firm GordonDerr LLP. The combined firm continues to be known as Van Ness Feldman, A Professional Corporation, and the firm's Seattle office is using the name Van Ness Feldman GordonDerr for a transition period.